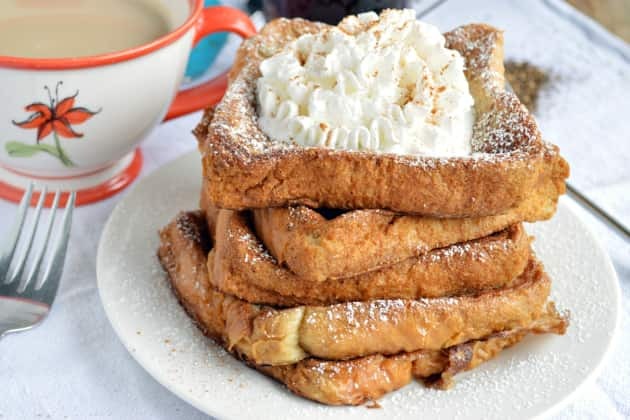 This French toast recipe from Food Fanatic packs spicy chai tea into each piece of French toast. Infuse loose chai spice tea in a milk, egg, and vanilla mixture. Dip bread into the mixture, then fry on a griddle. Top as desired with maple syrup, powdered sugar, or whipped cream. 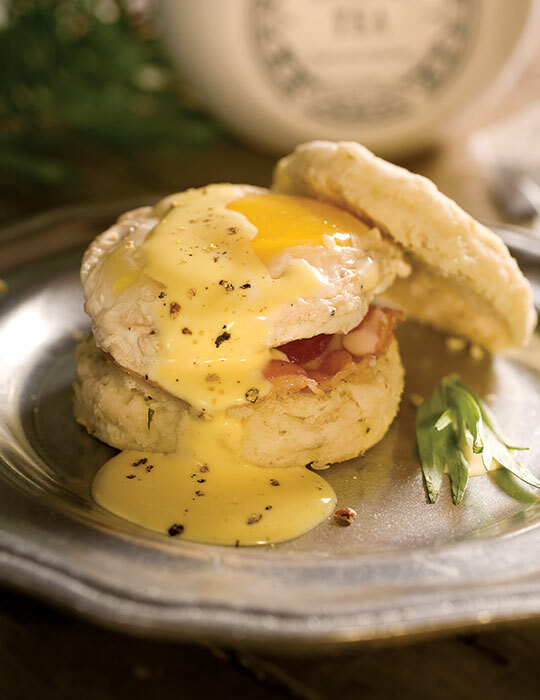 This recipe for poached eggs from Tea Time Magazine puts spiced white tea in the breakfast mix. Eggs are poached in a mixture that includes dry white wine, water, brewed spiced white tea, white-wine vinegar, salt, and pepper. 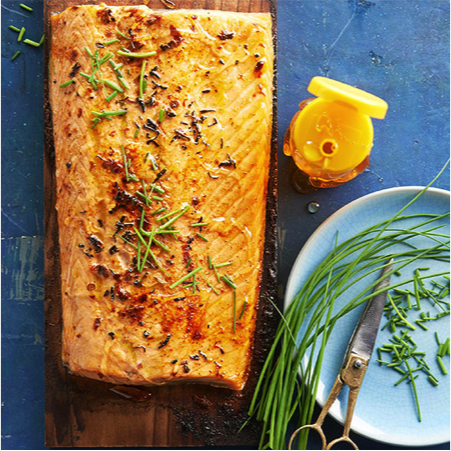 Once poached, place in between an English muffin or scone with pancetta and Holondaise sauce for a complete and satisfying meal. This recipe from Cooking a la Mel uses TARDIS tea from Adagio, which blends blackberry, vanilla, and earl grey tea for a brew that tastes like a blueberry muffin. 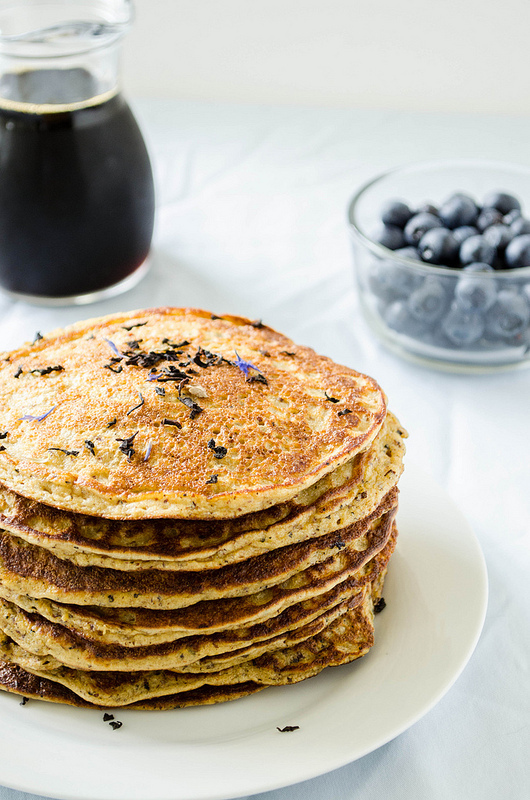 To make these pancakes, begin by steeping the TARDIS tea (or any Earl Grey tea you like) in whole milk. You’ll combine this milk tea with batter that includes ground oats, almond meal (or flour), baking soda, baking powder, salt, vanilla, and an egg. If you’re trying to cut down on milk, substitute coconut milk for whole milk. Add fresh blueberries to the batter for an extra dose of flavor and fruit. 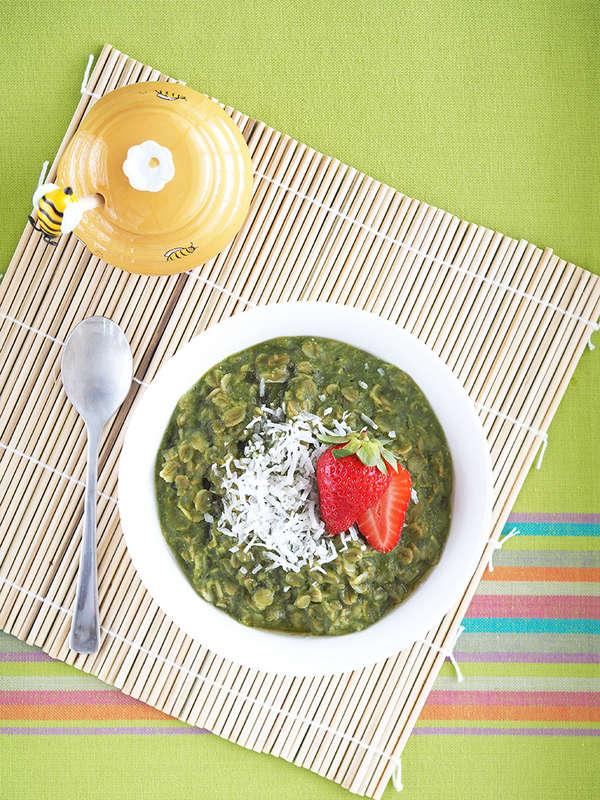 This recipe from The Breakfast Drama Queen gives oatmeal a green makeover. 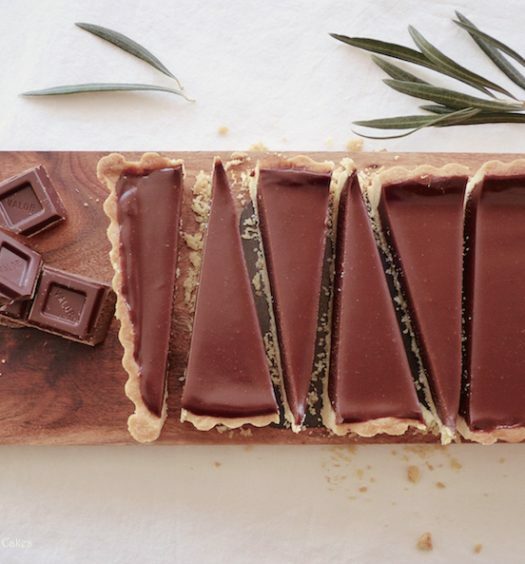 It takes only 15 minutes to prepare and is both gluten-free and vegan. Start by boiling almond milk and water, then add in rolled oats and salt, stirring well. Add a mashed banana, matcha powder, and vanilla extract. After the oats have cooked thoroughly, scoop into a bowl and top as desired. 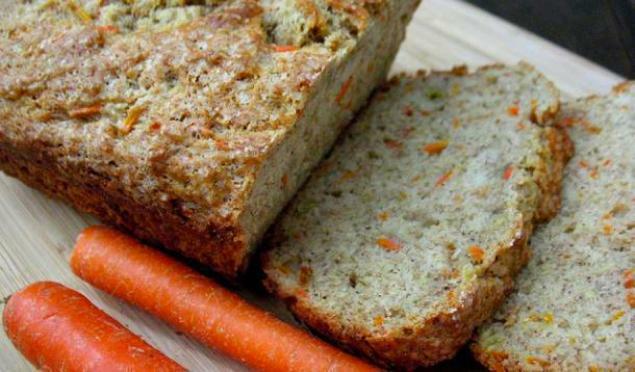 This banana bread from Just A Pinch puts two twists on the classic bread: carrots and rooibos tea. The batter includes brewed rooibos tea, whole wheat flour, and grated carrots, in addition to ingredients such as pitted dates, pecan nuts, and raisins, giving the final product lots of texture, the sweetness of fruit, and the heartiness of vegetables. Bonus: Check out 1001 Tea Facts’ recipes for Matcha Banana Bread, Earl Grey Banana Bread, and Chai Spiced Whole Wheat Banana Bread. 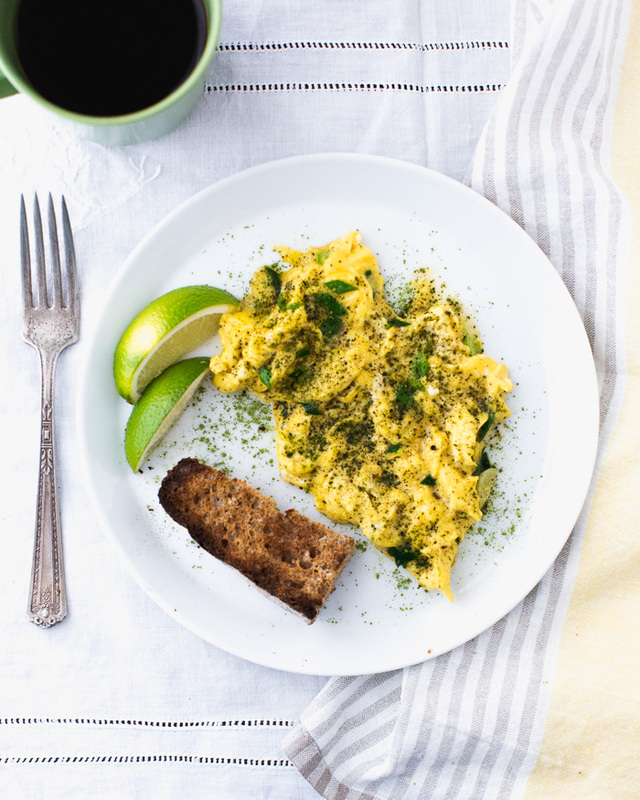 The recipe simply calls for matcha and lime juice to be sprinkled on top of scrambled eggs with green onion for a slight addition that makes a big impact.